This Website belongs to Dr Anil Aggrawal from India. He is working as a Professor of Forensic Medicine at the Maulana Azad Medical College, New Delhi. It contains links to the articles on forensic sciences written by Dr Aggarwal for various Websites. Besides reading stories, you can play quiz games on forensic toxicology. Other items are forensic quotes, aphorisms, forensic science fiction pages, forensic jokes, puns, tidbits, cartoons and animations. If you are a Hindi lover, you would surely love to see the site "Anil Aggrawal's Hindi Page of Crime and Crime Detection". The link www.fortunecity.com/campus/electrical/314/iafm.html goes to Website of Indian Academy of Forensic Sciences. The Forensic panel is America's foremost forensic consulting institution. It is dedicated to the integrity of behavioural and forensic sciences in the courts with peer reviewed expert testimony, our cutting-edge journal, practice oriented teaching, and groundbreaking research. On the Website, you will read about forensic psychiatry, forensic psychology and neuropsychology. In the forensic panel letter, you will read numerous articles about the recent cases under investigation. It also specifies how the panel assesses the time, mode and cause of death of a person, how the panel assesses voluntariness of confession and how they assess background of investigation. 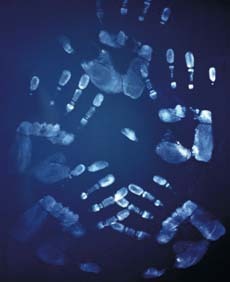 The site also contains review of some books on forensic sciences. This Website belongs to Reddy P. Chamakura, a forensic scientist with Police Laboratory, New York City Police Department. This site provides thousands of links to the Websites of scientific working groups, societies, organisations, associations and journals related to forensic sciences. Students will find a list of colleges, online courses and distance learning courses available around the world. Professionals will get to know the job opportunities in various organisations. Many links are provided to the sites of general forensic interest, forensic chemistry, narcotics, mass spectrometry, fingerprints, ballistics and firearms. This is the Website of forensic medicine for medical students. It has description of wounds and wound analysis to investigate attack situation. Purpose, background and modes of autopsy have been mentioned. The site has a link to tutorials covering all aspects of firearms use, classification etc. It contains pictures of different types of guns and illustrates how the guns fire. This Website has offers online courses in different fields of forensic sciences. A link goes to discussion forum, where you can discuss ideas with rest of the world. From the bookstore, you will get information about popular books on forensic sciences. A catalogue of courses available is provided.